41 years ago Nissan (Datsun in the US) launched the 240Z onto our shores and turned the sports car market on its head. Here was a light, nimble, reliable, value oriented sports coupe for two which had decent cargo capacity. I had the pleasure of owning and wrenching on various Z cars through the 300ZX and still found the 240Z to be the purist of them all. 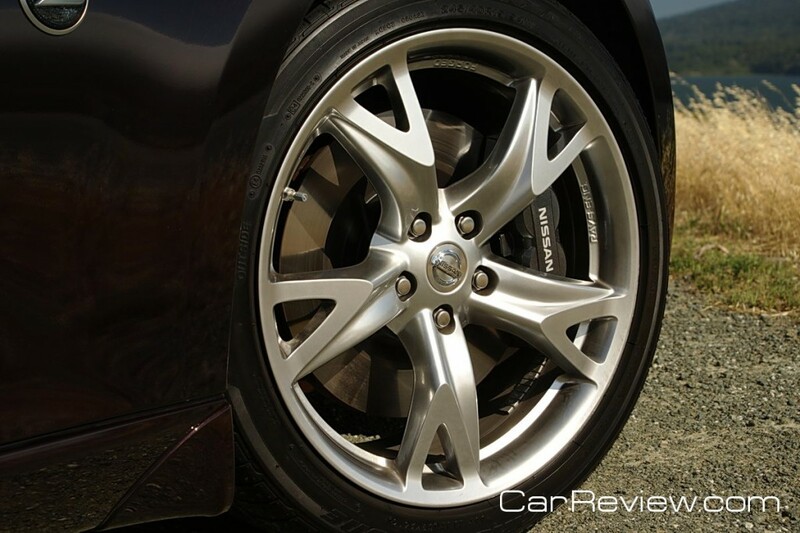 Only when Nissan introduced the 350Z in 2003 did it appear that they had something of real value that could match their original Z sports car. Just like the Porsche 911, Nissan has raised the level of performance and comfort through the years while paying tribute to its Spartan roots. Sure Porsche got a big head start (approximately 6 years), but Nissan has paid close attention to the formula which Porsche, and Chevrolet with the Corvette, have successfully followed through the years. Now the latest incarnation of the Z has brought this car very close to the level of its big brother GTR, but falls short in a few areas we will discuss later. Address these issues and keep the sticker under $40k, and except for some small back seats, the Z could overtake the GTR. Sound like the Cayman-911 argument? déjà-vu. The exterior fender flares results in a menacing look without being portrayed as a silly phallic symbol. When traffic approaches from the rear side, eyes will be pinned on the fenders and the beautiful Rays wheels our test car was equipped with. 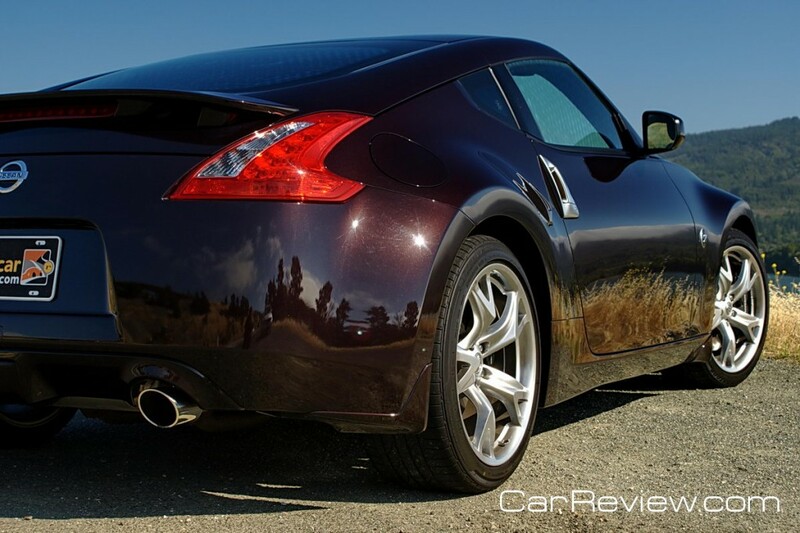 From all angles, the Z looks like it means business. The front bumper has GTR influences and also looks equally menacing on approach, so much so that mothers with small children quickly gathered the tykes as we rolled down neighborhood streets. It makes a statement like no other car with an under $30k base price. 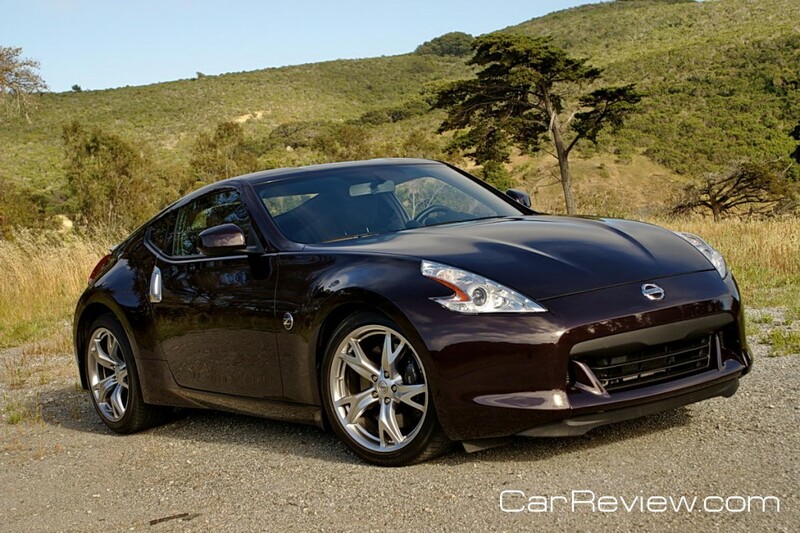 Our test car had an unusual Black Cherry paint finish, but the 370Z really looks best in bright silver….trust us here.